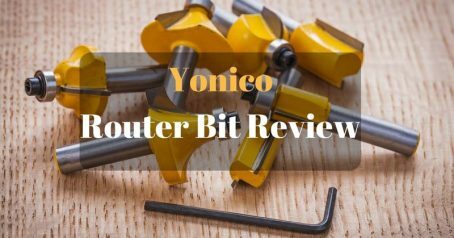 This month in WorkShop Wisdom I thought we would look at router bit tips. 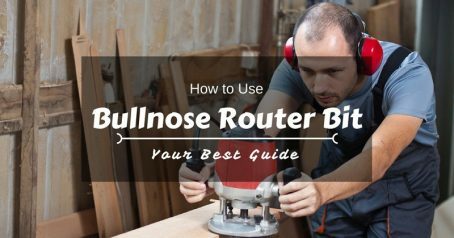 If you're like most woodworkers, you will end up spending more for your router bits than you paid for your router. 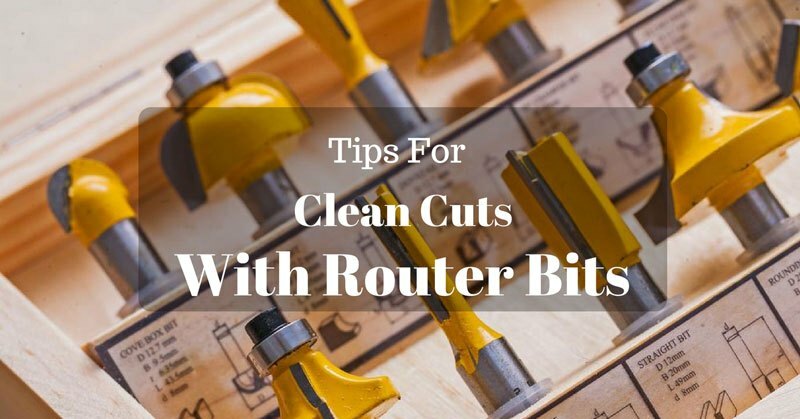 So naturally, you'll want to protect your investment by taking good care of your router bits. Carbide tipped router bits outlast high-speed steel bits many times over, but the carbide is quite brittle and must be handled and stored carefully to avoid chipping the cutting edge. As with any cutting tool, both steel and carbide router bits must be kept razor sharp for the best routing performance. A dull bit is more likely to chip, tear, or burn the material being routed. 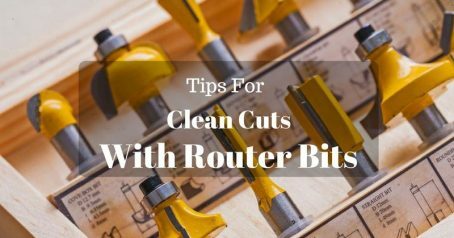 Soft bits put more stress on the router motor itself, and because Router bits spin at high speed, a dull bit is more likely to overheat than a sharp one. 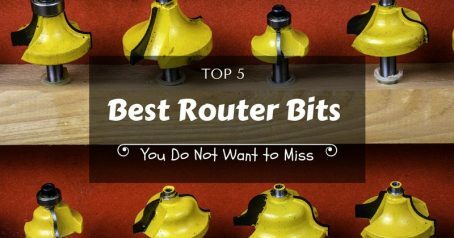 The result is not only that bits have shorter lives, but that the router may not last as long. Would you park your car overnight on a railway track, I don't think so, well then, don't just toss a loose bunch of bits in a box or a drawer in your work bench where they can get knocked around and damage each others cutting edge. 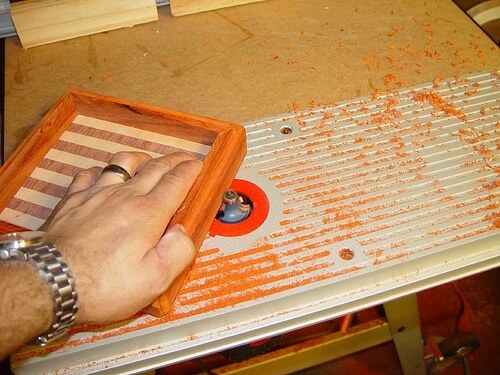 One way to keep your bits separated and safe from each other is to buy one of many commercially available router bit storage trays, or, if you're like me, thrifty, you can make your own. 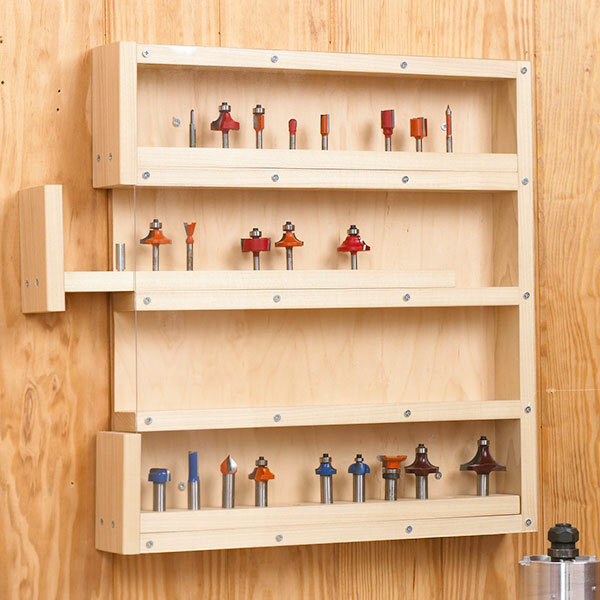 A simple and inexpensive method of storing your bits is to drill a series of holes (matching the diameter of the router bit shank) in the edge of a length of 2×4 and then mount the board on the wall above your work bench. 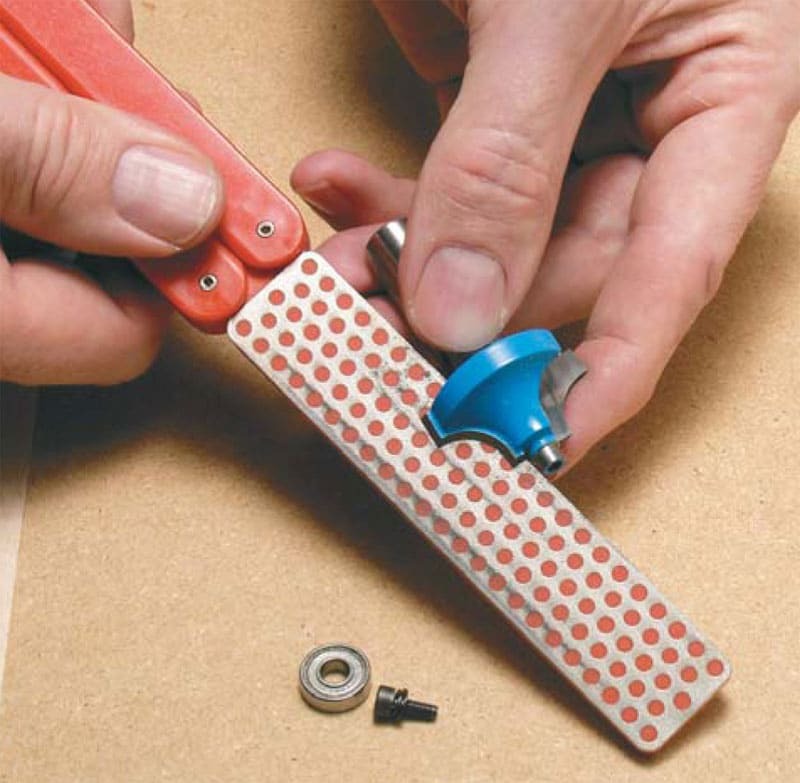 Remember to space the holes so that you will have a 1/4″-1/2″ of clearance between the outside cutting edges of the bits. 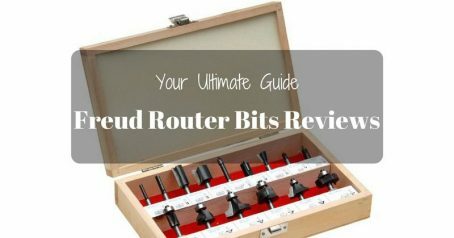 If you prefer to store your router bits in a drawer, another simple and virtually free storage tray can be made by drilling the correctly sized and spaced holes in a piece of 3/4″ plywood, then, after drilling the holes all the way through he plywood simply glue a piece of 1/4″ plywood to the underside. 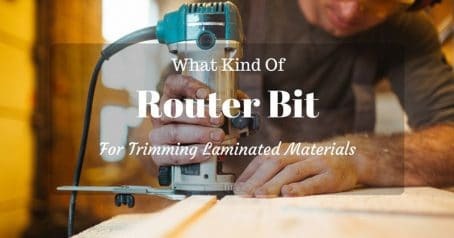 Router bits get coated with wood resin or pitch, which eventually will harden reducing the cutting efficiency of the bit. The newer Teflon coated bits keep such buildup to a minimum. However, even they will require the occasional cleaning. An all purpose household cleaner, such as Fantastik or Formula 409 will remove most light resin deposits. You can remove heavy resin build up with a good quality spray-on oven cleaner. If you want to spend a bit of money, you can purchase some commercially produced cleaners for router bits and circular saw blades. One good product that I have used in the past is a cleaner by the name of Pitch-Off. 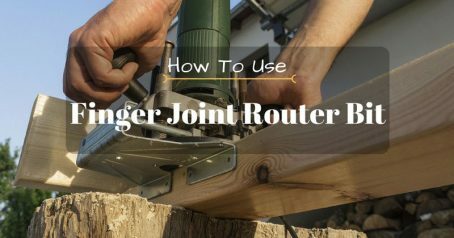 As with any edge tool, there are two steps to sharpening a router bit; grinding and honing. The grinding removes nicks and reestablishes the correct cutting bevel or bit profile. This involves removing a significant amount of metal. 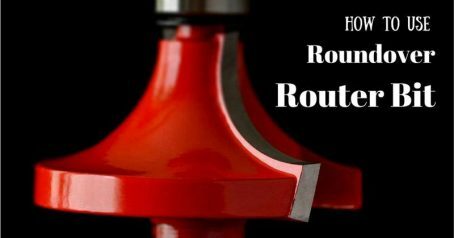 A router bit must remain in perfect rotational balance to cut efficiently and remain safe to use; both cutting edges or profiles must be sharpened equally. That means you must not remove more metal from one cutting edge than the other. Also, both cutters must have the same profile as each other. Lets face it, what I am saying is grinding router bits is a tricky business, best left to professional sharpening shops. Some times the most expeditious solution is to simply buy a new bit. Of course, it would be impractical to send your bits out for sharpening or buy a new one each time they get a little dull. One thing you can do yourself in your shop is to HONE, or "DRESS" the cutting edge with a fine grit sharpening stone. The honing process removes minute amounts of metal, so you won't throw your bit out of balance or change the profiles significantly. 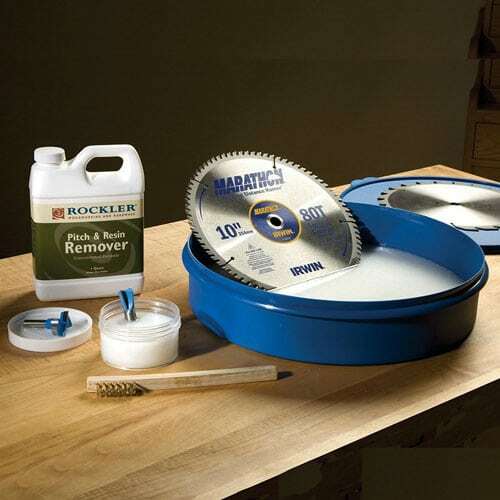 To hone, use a flat stone or abrasive sheet for wing cutters, or a conical stone for fluted bits. Diamond and ceramic hones will sharpen both carbide and steel bits. Remember, only a light touch is required. When a bit starts to lose it's edge, place its flat cutting face against the stone and draw it lightly along the surface. To keep the bit in balance, give each cutting edge the same number of strokes. Hone only the cutting face of the bit, not the bevel edge. 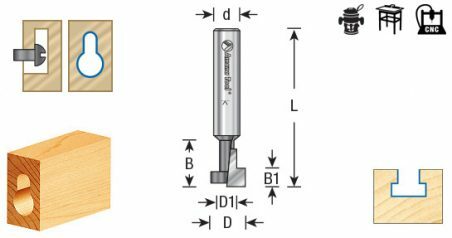 Sharpening the bevel or contour may change the bevel angle or the profile of the bit on one or more cutting edges. When your bits become too dull to be touched up by a light honing, or the cutter edge gets chipped or nicked, well it's time to send it out for sharpening or to run down to your local router bit retailer and buy a new one.